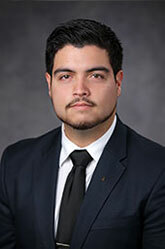 Santiago I. Carpio is a Paraprofessional at Yip Associates. His area of focus includes Chapter 7 and Chapter 11 bankruptcy cases, forensic accounting, litigation support, and fraud investigations. Mr. Carpio graduated from Miami Dade College where he earned an Associates in Arts in Accounting. He is currently pursuing a Bachelor of Accounting at Florida International University. He is also an active member of Beta Alpha Psi, Florida International University’s honors organization for students majoring in accounting.